"Let each citizen remember at the moment he is offering his vote that he is not making a present or compliment to please an individual - or at least he ought not so to do;but that he is executing one of the most solemn trusts in human society for which he is accountable to God and his country." Remembering the brave exploits of the passengers on board the Mayflower, they were people who were mostly of a single church congregation. And don’t forget that it was Pastor Jonas Clark’s male congregants who withstood British troops at Lexington and fired the very first of the shots heard ’round the world. The famous French historian, Alexis De Tocqueville, credited the pulpits and churches of Colonial America with inspiring America’s successful War for Independence and subsequent prosperity much more than its institutions of learning, halls of Congress, or industries of invention. From the very beginning, America’s Christians and pastors were intricately involved in the establishment and building of this republic. FALSE PROPHET - SALESMAN - MANIPULATOR? JOEL OSTEEN, a non-ordained minister, in his short career has found the time to write 17 books addressing his idea of religion priced from $8.99 to $59.99. Osteen claims to not take a salary from the over $43M in yearly donations and states they live off of the over $13M yearly in book sales! 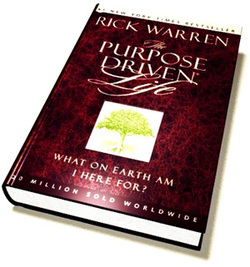 Why I Called Out Joel Osteen and Joyce Meyer By Rick HendersonI have been preaching for 20 years. Yesterday I did something that I have never done before in a sermon. I publicly called out false teachers and named them by name. I said, If you listen to Joel Osteen and Joyce Meyer, if you take what they teach seriously, it will not be good for you. It will be detrimental to your long-term growth as a follower of Jesus. I used to think that their error was so blatantly obvious that they could just be ignored. I was wrong. They are massively growing in popularity in the evangelical world and are seen as credible and helpful. Before I’m inundated with questioning emails I want to share why I distrust these two and think you should as well. So, don’t shoot met–at least not yet. This post will be long, very long. And it will link to source material. There is likely more here than you care to ingest in one sitting. Take your time. Work through it carefully. 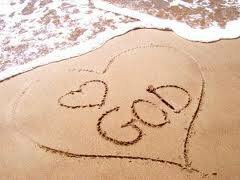 I think you owe it to yourself and as you will see in this blog, we owe it to less fortunate Christians around the world. But the fast-rising Mars Hill pastor has lately been brought to earth, not by accusations of homophobia and male chauvinism, but by charges of self-promotion, plagiarism and hubris. 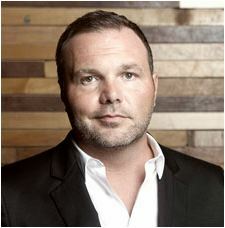 Driscoll has promoted himself as a “New York Times bestselling author.” The claim was based on a 2012 list in which his book “Real Marriage,” coauthored with his wife, went to the top of the NYT Advice bestseller list. In order to get it there, however, Mars Hill hired an outfit called ResultsSource, Inc., to create the illusion of sales. The church was asked to place 6,000 individual orders for the book, and to buy 5,000 bulk copies with the purchases being disguised by a multiplicity of different payments and split up into multiple different orders. “I am sorry I used this strategy and will never use it again: I have also asked my publisher not to use the ‘New York Times bestseller’ status in future publications and I am working to remove this from past publications as well,” Driscoll wrote in a mea culpa letter to church members in March. In November 2013, Janet Mefferd, host of the syndicated radio show, The Janet Mefferd Show, expressed deep concern that parts of Driscoll’s new book, A Call to Resurgence (14 pages to be exact), were lifted from a book written by Dr. Peter Jones, author and professor at Westminster Seminary California. The problem? They weren’t cited. That makes it plagiarism. Shortly afterwards, due to her fantastic research skills, Mefferd found three other books written by Driscoll where material was plagiarized from other author’s works. That’s four, if you’re keeping count. One World Religion - Coming or Here? 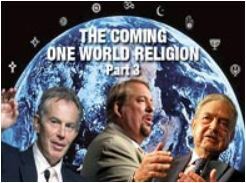 February 2011 at the Global Peace Forum at Saddleback Church in Lake Forest, California, which featured Rick Warren and special guest, former UK Prime Minister Tony Blair, Rick Warren spoke about his global P.E.A.C.E. Plan and Tony Blair spoke about the inter-faith Tony Blair Foundation. George Soros: Global Economic System in High Speed! While the American Corporate-controlled media hides the biggest financial take-over of the global economic system since the tower of Babel, Billionaire George Soros, who boasted he wanted to reorganize the entire global economic system, is doing just that. Two years ago, George Soros said he wanted to reorganize the entire global economic system. In April 2011, he is going to start – and no one seems to have noticed. 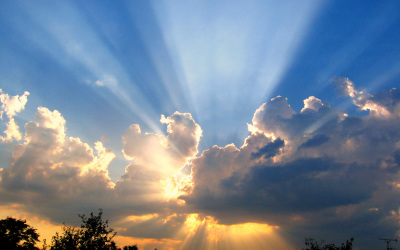 Join Paul McGuire as he communicates the Truth and spreads the Light to the World!